The current flag of Zimbabwe has one of the most elaborate designs of all of the national flags in Africa. The Zimbabwe flag combines many design elements in order to represent many different aspects of the nation's culture and history. 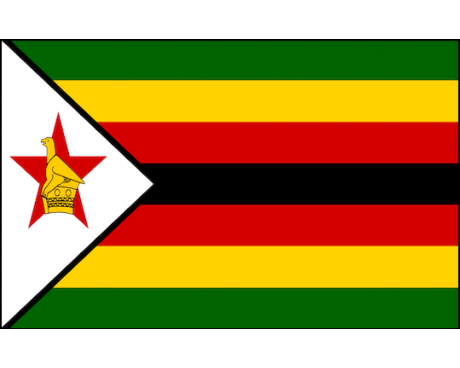 Zimbabwe flags have seven horizontal stripes of green, yellow, red, and black. 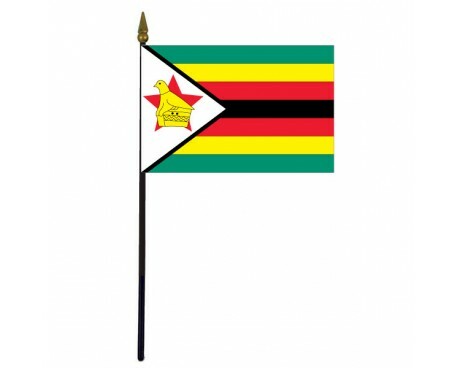 A white triangle stretches along the flag's hoist and contains both a Zimbabwe bird and a red star. The bird is a traditional symbol of the nation of Zimbabwe that reflects the strong bond that the indigenous people of Zimbabwe had with the natural world. 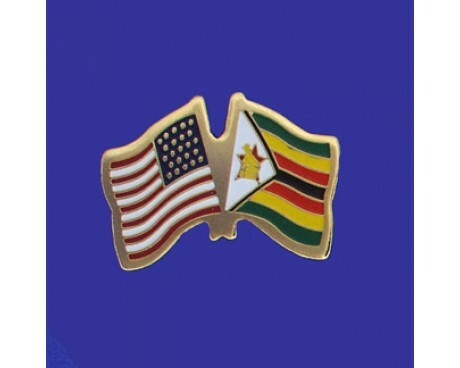 It is paired with the star, which represents hope for the future of Zimbabwe. 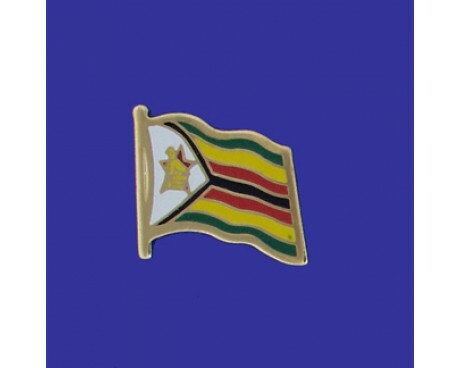 Each color on the Zimbabwe flag also symbolizes an aspect of the nation. The green sections represent the rural portions of the country and the agriculture that thrives in those areas. The yellow bands are symbols of the nation's mineral resources. The red stripes were included in the design to represent the blood that the people of Zimbabwe shed during their struggle for independence. The black stripe is a symbol of the people themselves and their traditional culture. Zimbabwe was a British colony for many years before it gained its independence in the modern era, and it was represented by several different Zimbabwe flags while it was part of the British Empire. The colony was initially known as Southern Rhodesia, which was represented by a standard colonial flag. The flag had a dark blue field and it displayed both the Union Jack in the canton and the seal of Southern Rhodesia in the fly. The seal featured a shield that displayed a golden pick on a green field below a white stripe with a red lion between two plants. The lion was a symbol of the British Empire, but the other symbols represented the unique features of the colony itself. This was the nation's first colonial flag, and it was used between 1923 and 1964. The nation became Rhodesia in 1964, and gained a new flag to go with the new name. It had the same emblems as the old flag, but the field was a significantly lighter shade of blue. That flag was only used until 1968, when it was replaced with a new design that featured a vertical band of white with the nation's coat of arms between two bands of green. A precursor to the modern flag came into use in 1979, and it was replaced with the current flag of Zimbabwe in 1980.